It's well known that moonstone gained its name for the glow that comes from its depths. When it's faceted, as these 9mm long triangular moonstones are, they sparkle, too. Think of it: glow and sparkle, all in one little neat package. 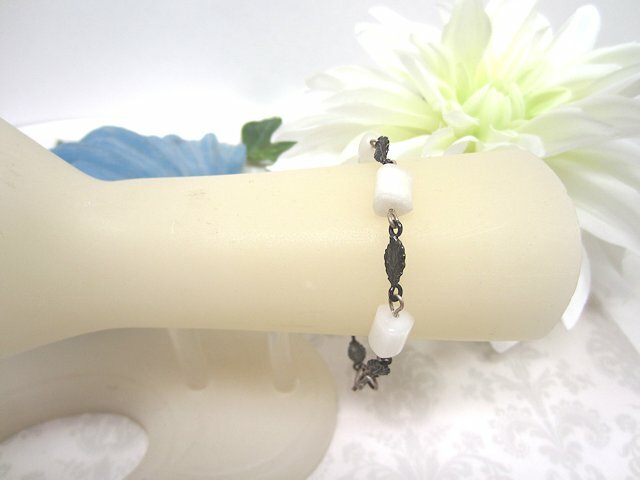 The beads are connected with charming sterling silver leaf-shaped links. 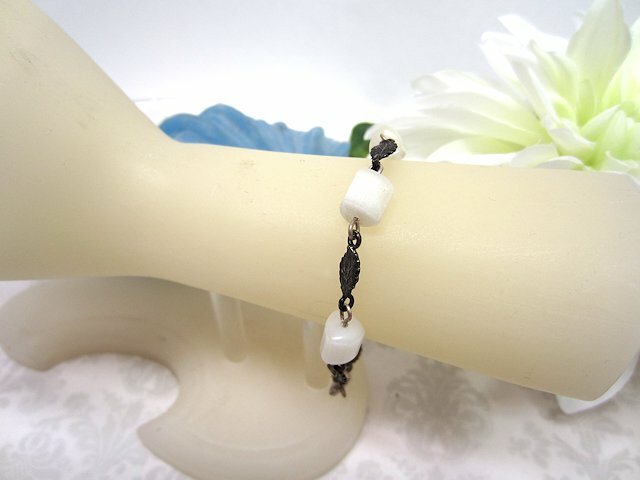 It's another beautiful, quality bracelet from SPARKLE PLENTY. 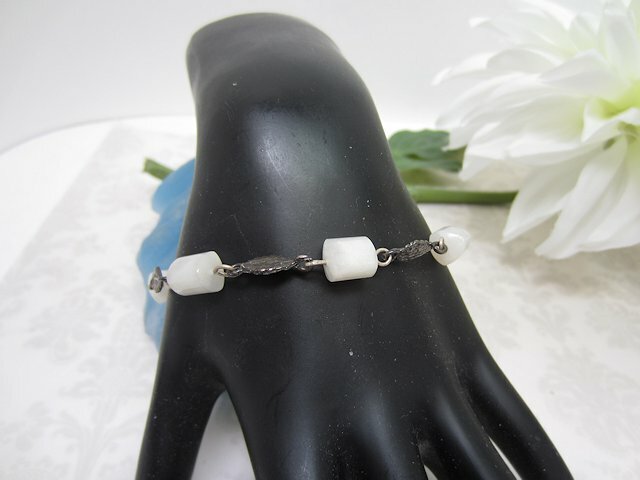 Lovely round rainbow moonstone cabachons are captured in sterling silver scrollwork findings.